Whether you enjoy theatre, music or simply getting together with friends, the Active Adults program at The Community House has something for everyone. We have a variety of card groups, exercise classes and computer classes, in addition to our day trips and special in-house events. Come by yourself or bring along a friend and join in one of our many offerings for active adults in the community. We have many opportunities for you to stay active and involved. 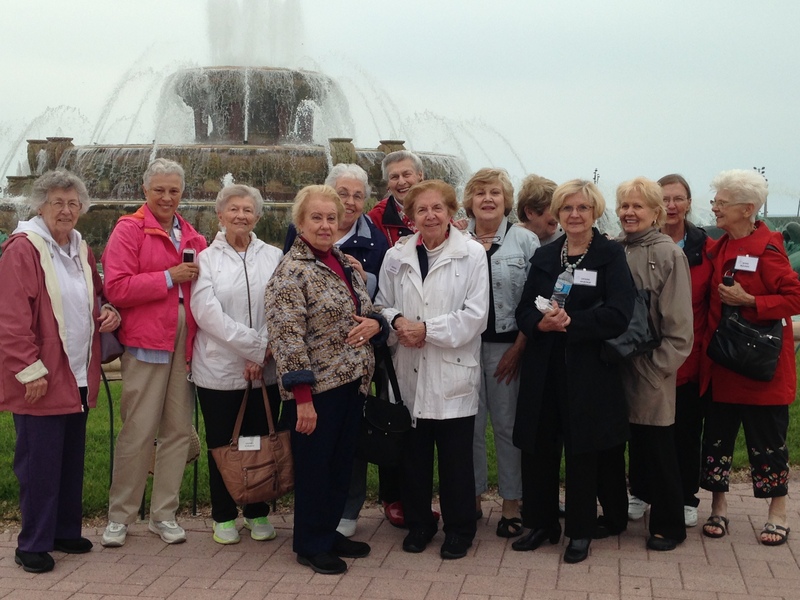 For more information and a current listing of day trips and special events or to become a member, call Kate Vogts, 630-323-7500 Ext..
We offer a variety of day trips and events at The Community House for your information and entertainment. Upcoming trips and events can be viewed in our seasonal program guide, in the activities listings below or in the Active Adults newsletter. Meets on the 2nd Wednesday of each month at 9:30 am This group offers periodic presentations by guest speakers or club members, as well as general question and answer sessions. We are pleased to offer a wide variety of adult fitness classes for all levels and interests. From our Prime Time A+ class and our Sit and Get Fit class, Prime Time, Yoga, and Pilates classes, you’re sure to find something you’ll enjoy. Many classes feature a punch card system for greater flexibility. Please check the activity listings for more information about available classes as well as times and dates. The roundtable invites you to hear a stimulating speaker on a subject of current or local interest. They meet monthly, on the 4th Wednesday, starting at 9:30 am. Coffee and donuts provided. Fee $3 at the door. All newcomers welcome. Please see the latest Active Adults newsletter for a current listing of upcoming speakers. Roundtable members have formed a number of smaller groups to pursue special interests. These meet monthly at The Community House according to the following schedule. Anyone is welcome to attend these meetings. These are drop-in groups, no reservation necessary. You don’t need a partner and these groups are fun! Videos of current films are shown the 2nd & 4th Thursday of each month at 12:30 pm. on our wall mounted HDTV! Movies are $1 per person – coffee and popcorn are provided. Please see the latest Active Adults Newsletter for a current listing of the movies. Our book discussion group meets the 1st Monday of each month at 10:00 am in the A+ Room at The Community House. This is a small and friendly group that welcomes newcomers! Please feel free to join us for some interesting discussion about some great books. Please see the latest Active Adults Brochure for a listing of the upcoming books. Heartsaver class – the Heartsaver AED (Automatic External Defibrillator) class is intended for people who need or desire certification in CPR but are not healthcare professionals. Please check activity listings for times and dates. These classes are offered periodically at The Community House for drivers who are over the age of 50 and wish to update their driving skills. It is a classroom-only session. Many insurance companies offer a discount to drivers who have taken this program. For more information about this program please see the Active Adults Newsletter. Use our search filters to view program information and click REGISTER to be taken to our online registration system. In 2011, 64 communities in DuPage and Cook Counties benefited from the services and programs at The Community House. You can help us reach out to even more with your tax-deductable donation. Donate here!